Samsung released so many new models in their LED TV range that I really lost count of which and how many of them we have already reviewed. 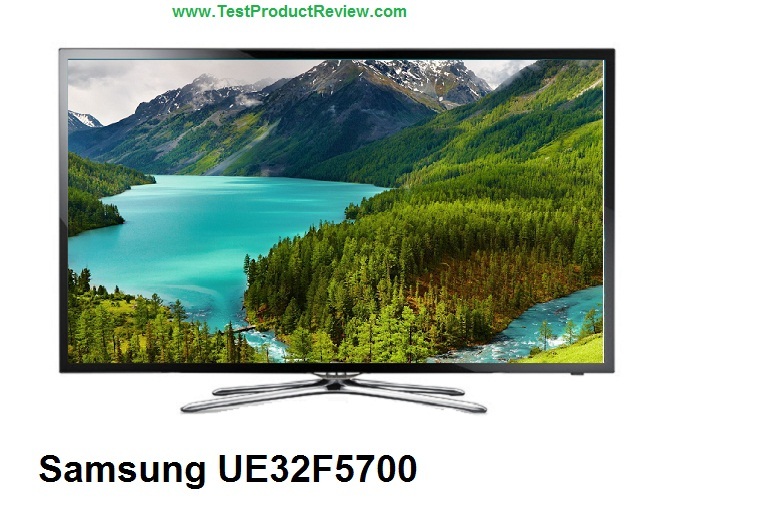 Samsung UE32F5700 is yet another quality 32-inch Full HD Smart LED TV offered at very reasonable price. So what are the differences in the UE32F5700 that make it stand out from the crowd and from similar models like Samsung UE32F5500. Actually the differences with the UE32F5500 are almost insignificant and all the good words that we told about it can be said about the UE32F5700 as well. The TV has nice modern design, with shiny metal stand and frame that could have been just slightly thinner. The overall impression from the build quality is also very good. Samsung UE32F5700 is a Full HD TV with maximum resolution of 1920 x 1080 and offers very good picture quality. Samsung have used their 100 Clear Motion Rate, Wide Color Enhancer Plus, HyperReal Engine and Mega Contrast technologies for improving the overall picture quality of this 32-inch LED TV. Samsung UE32F5700 is also a Smart TV with built-in WiFi connection and variety of apps to choose from the Smart Hub. The sound provided by the Samsung UE32F5700 is also pretty good thanks to its two quality 10W speakers with Dolby Digital Plus and DTS Studio Sound support. Samsung UE32F5700 has wide range of connection options including Component (Y / Pb / Pr), Composite AV, Optical sound out, RF In, 3x HDMI, SCART, IR out, CI and 2x USB ports with media playback support. The price of the Samsung UE32F5700 is also pretty good, offered at just under 500 Euros in Europe. This makes the 32-inch UE32F5700 not only a very capable Smart TV but also a smart deal.